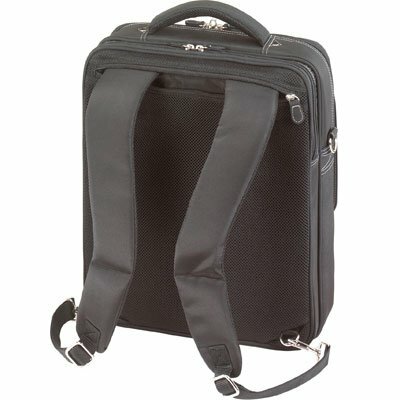 The Targus Solitaire Backpack is designed for laptops with up to 15.4” screens. This backpack includes a front flap with business card holder, key clip, pen loops, a pocket for airline tickets and a detachable mobile phone case. Need added space to store files while traveling? This backpack is equipped with a bonus file folder section and a back zip pocket for additional paperwork and accessories. The hide-away padded backpack straps and removable shoulder strap offer a variety of carry options for your convenience. This woman’s case is stylish and functional- perfect for a student or traveling executive. Exterior Dimensions13" x 15.75" x 4"